Blending catchy melodies with thick, punchy riffs, Finns Entwine have risen to be counted among the leaders of Goth metal in their home country and are steadily moving up in the ranks worldwide. DiEversity is the band's fourth studio album and essentially carries on where their previous album left off. 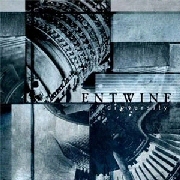 If, like me, you're not familiar with any of Entwine's earlier work, their sound can be compared to that of fellow Finns Poisonblack, H.I.M., and recent Sentenced. The songs on DiEversity offer up a bit more commercial appeal than the aforementioned bands, and at first I was dismayed by the clear aim at mainstream popularity. After a short time, however, DiEversity grew on me and I now consider it to be one of the best Goth rock albums released in the past couple of years (right up there with TON's October Rust, Beseech's Souls Highway, and Amorphis' Tuonela). After a very short intro, the first single from the album - "Bittersweet" - kicks in. There can be no doubt that this song was crafted specifically for the radio. Clocking in at just over two and a half minutes, the tune has the deep bass & guitar riffs that are so popular among modern rock artists. The keys of Riita Heikkonen, however, serve to add a dark atmosphere and set Entwine apart from the many radio clones. Mika Tauriainen's voice is clear and powerful, always having just a hint of sorrow and regret. Shying away from the whining commonly heard among mainstream acts, Mika tends to sound a bit more like Juha-Pekka Leppäloutu from Charon and Pasi Koskinen from Amorphis. The guitar sound from Tom Mikkola and Jaani Kähköon is primarily held to meaty riffs that enhance the infectious quality of each song on the album. Tom belts out a quality solo on a couple of occasions, but for the most part the six-stringers are reserved. Despite this, the wall of sound delivered by Entwine is guitar heavy and washes over you completely, enveloping you in the mood of the music. Grounding the heavy riffs is the rock-solid rhythm section of bass player Joni Miettinen and drummer Aksu Hanttu. Aksu's beats are never complex, but Joni's bass lines tend to be intricate when not adding punch to the riffs. Besides the two balladic tunes ("Bleeding For The Cure" and "Everything For You"), every song on DiEversity is top-notch Goth rock. Having to narrow the field for this review, my favorite of the bunch is "Still Remains". The song begins with a somewhat Euro power metal keyboard intro giving way to the heaviest riffs on the album. Uptempo and heavy on the bass, "Still Remains" has a catchy chorus and highly atmospheric keys - the two common ingredients found throughout the album. Turning up the pace a bit just makes this track more appealing to me than the others. With the recent success of Evanescence, it seems to me that modern rock radio is ready to embrace an album like DiEversity. If you're a fan of this type of melodic, atmospheric Goth rock/metal then Entwine is a band you should not miss.